Unexpected sides and a lemon-miso dressing give this recipe a twist. 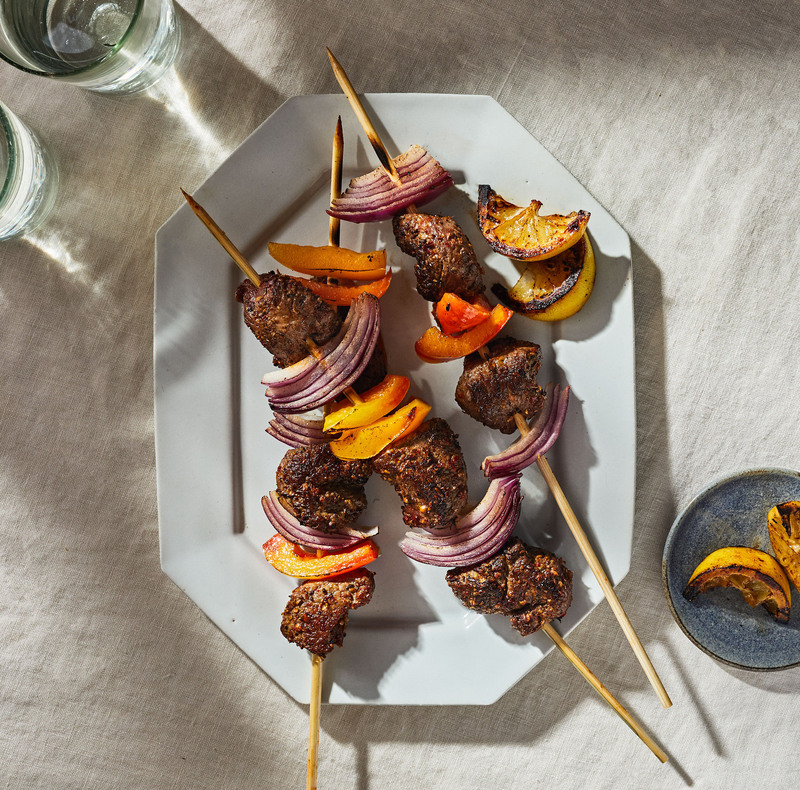 Even the pickiest kids get excited by colorful plates full of flavors, making this dish a solid go-to dinner option for busy parents, says Marissa Lippert, RD, a New York City-based nutritionist and owner of Nourish Baby, a food-delivery service for parents and newborns. 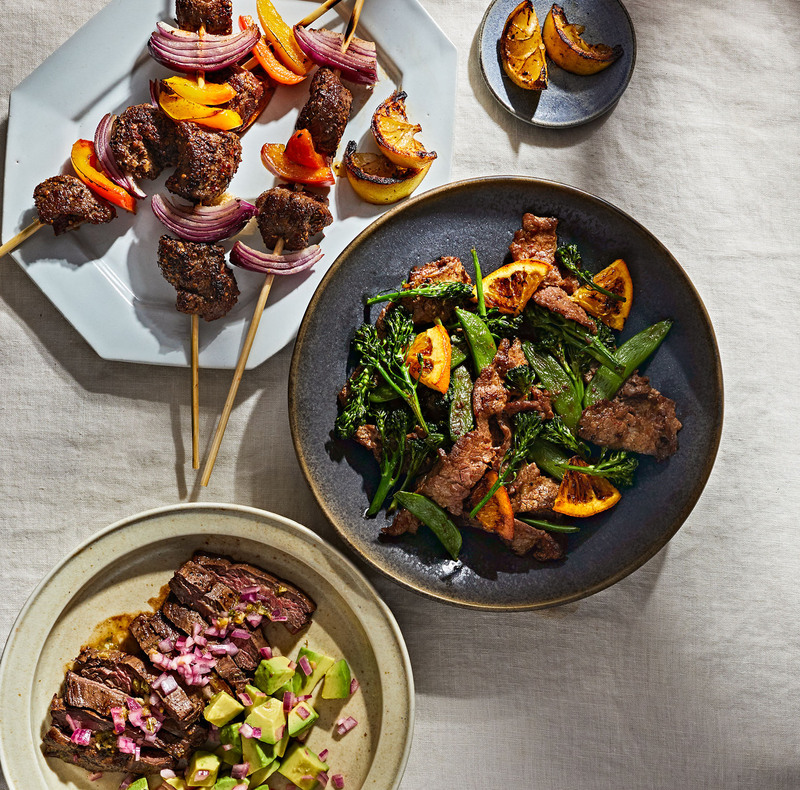 The soy-marinated steak is made slightly sweet thanks to the maple pears, and probiotic-rich kimchi adds extra nutrients. 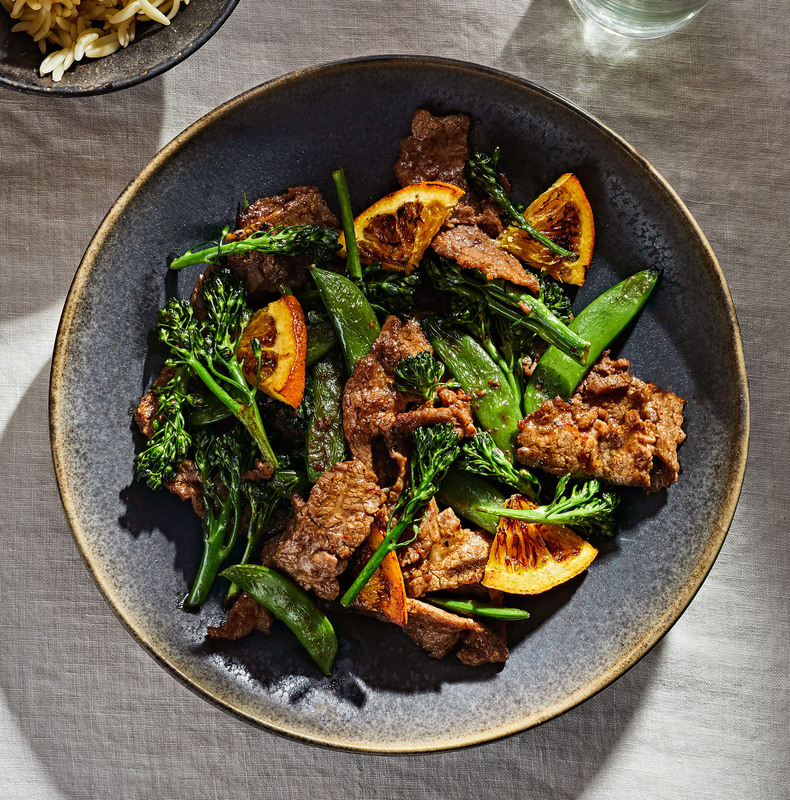 Plus, broccolini is a fun veggie for kids to eat “because they’re shaped like little trees,” she says. This recipe is part of our meal prep series. Click here for full plan. In a shallow bowl, mix together soy sauce, Worcestershire sauce, and garlic. Add steak and marinate for at least 1 hour in the refrigerator. Once the steak has been marinating for at least 45 minutes, start cooking the broccolini: In a sauté pan, heat oil over medium-high heat. Add broccolini and cook until lightly charred, about 5 to 8 minutes. Season with salt and pepper. In another small skillet, toss pear with maple syrup and cook for 3 to 5 minutes over medium heat. Toss broccolini with pears, red onion, sunflower seeds, and lemon-miso dressing. Set aside. Season steak with salt and pepper. Heat a dash of sunflower oil in a pan or cast-iron skillet over medium-high heat. Sear for 4 to 5 minutes on each side, or until a thermometer reads 130 degrees. Remove from heat and let rest for 5 minutes. 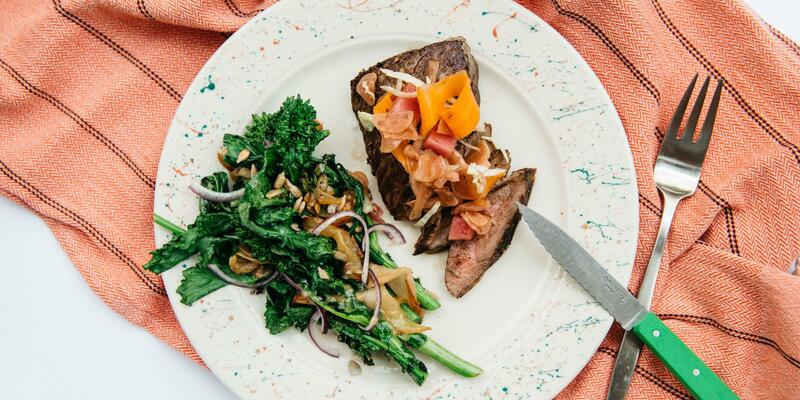 Slice steak and serve with broccolini and quick kimchi.